After air strikes in the early hours today, in the multiple locations in Pakistan as per Ministry of Home Affairs. 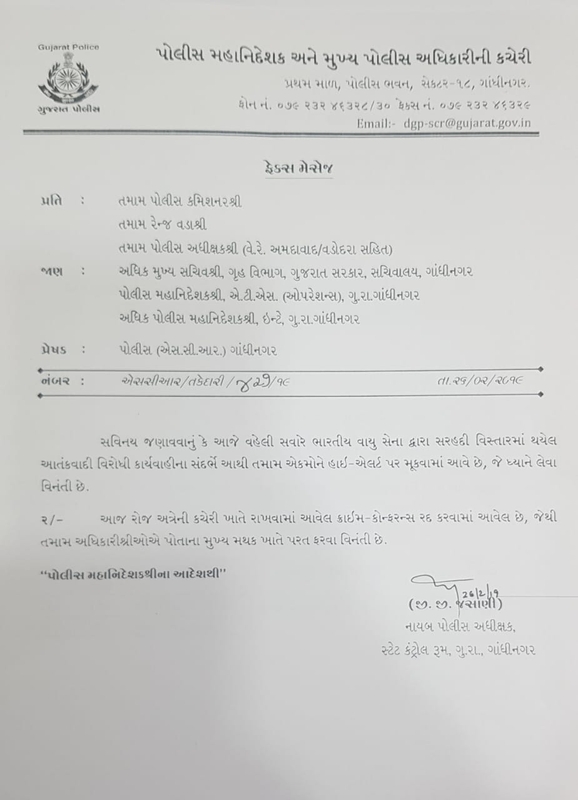 Following the alert, the Gujarat state DGP Shivanand Jha has asked at the SPs & range IGs to remain stationed at their respective headquarters. As the three border districts of Patan, Banaskantha and Kutch have been put on alert. Even coastal districts have also put on alert as per DGP.